There is something very special about Lourdes. Perhaps it is to do with the work that goes on there with the sick and elderly. Or perhaps it is the beautiful story of the simple St Bernadette. Whatever it is, no Catholic hears the name of Lourdes without a hint of pride stirring in them. The readings chosen for today's feast day are from Isaiah and St John. In the first reading we have the beautiful tenderness of God as shown in a motherly way. It is a story of being fed by the breast of God and resting always in the motherly love of God. In the gospel we have the wedding feast of Cana where Jesus was obedient to his mother. 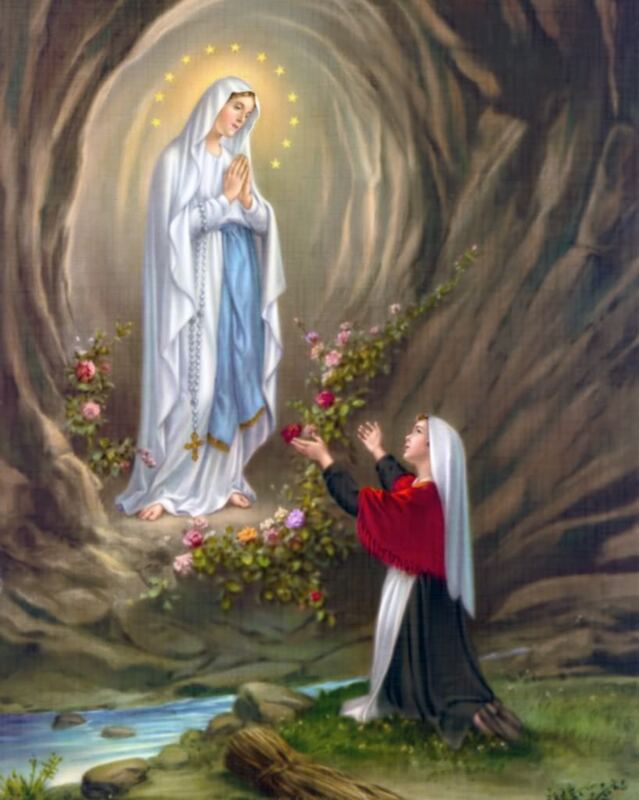 At Lourdes, Bernadette was also obedient to Mary, doing whatever she asked without question. I think of all the places on earth, nowhere reflects the motherly love of Mary more than Lourdes. We feel it in our hearts and we rejoice in it.